I got a bit traction on KookBook and decided to fix a few bugs, mostly in the touch client, and add some features. 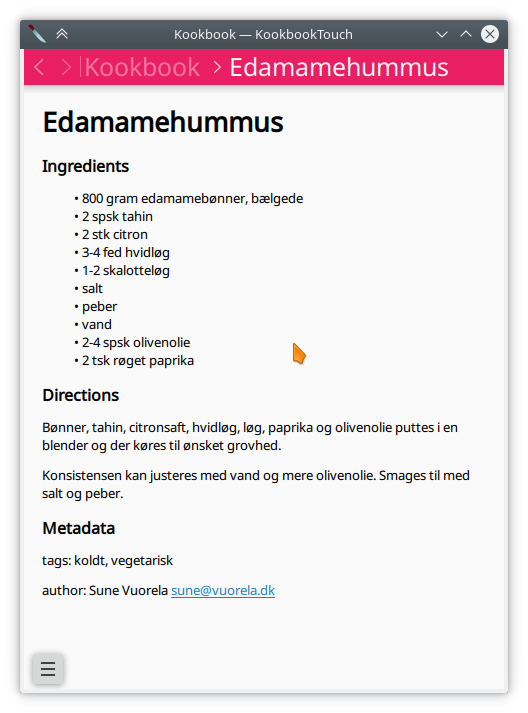 Some people has a large recipe collection in KRecipe and would like to try out KookBook. I wrote a convertion python script now available. 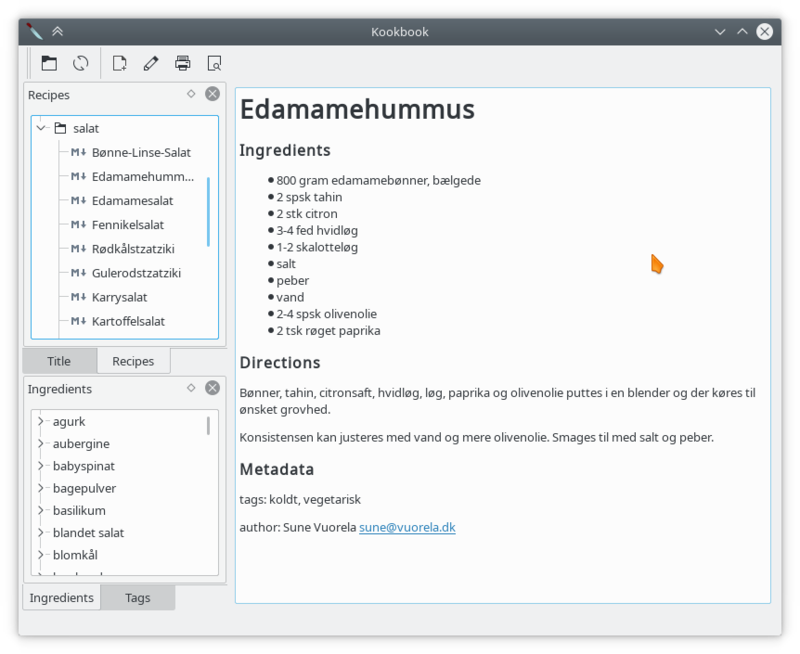 It works in “current directory” and reads the krecipe database from there and outputs KookBook markdown files in same repository. It has so far been tried on 1 database. Some people have started talking about maybe translation of the interface. I might look into that in the future. And I wouldn’t be sad if some icon artists provided me with a icon slightly better than the knife I drew. Feel free to contact me if that’s the case. 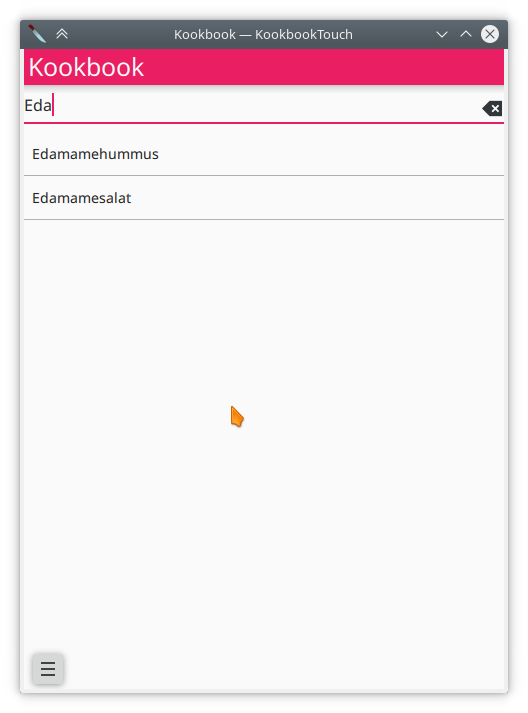 Continuing in Aurelien Gateau‘s release month, where I recently joined in with Kookbook, I’m now also following up with Kolorfill, an app I also described in the past. It is a simple flood filling game written using the amazing Kirigami framework. Besides getting smarter, also getting to talk to people about what they do and to write some patches are important events. https://bugreports.qt.io/browse/QTBUG-48344 is now fixed. Finding reviewers for the glib event dispatcher in Qt was the hard part about that. And a lot of other minor things, including handling a couple of Debian bugs. I felt productive, welcome and … ready to sleep for a week. 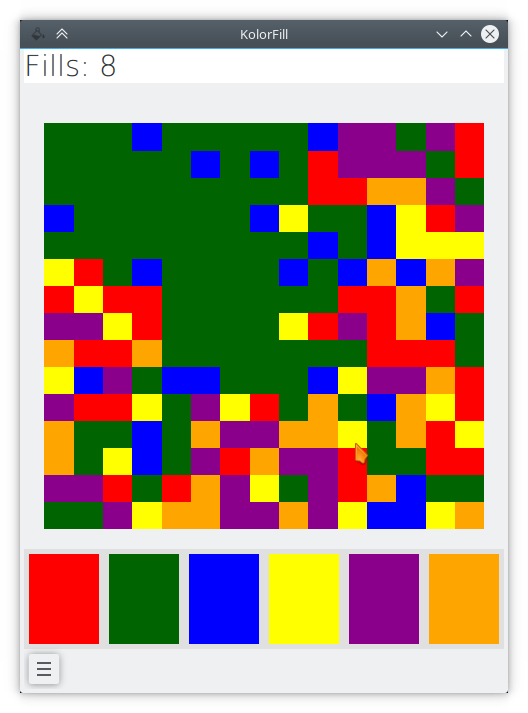 The end goal is to make the board into one color in as few steps as possible. The way to do it is “Paint bucket”-tool from top left corner with various colors. And of course, there is some QML tests for the curious. A major todo item is saving the high score and getting that to work. Patches welcome. Or pointer to what QML components that can help me with that.